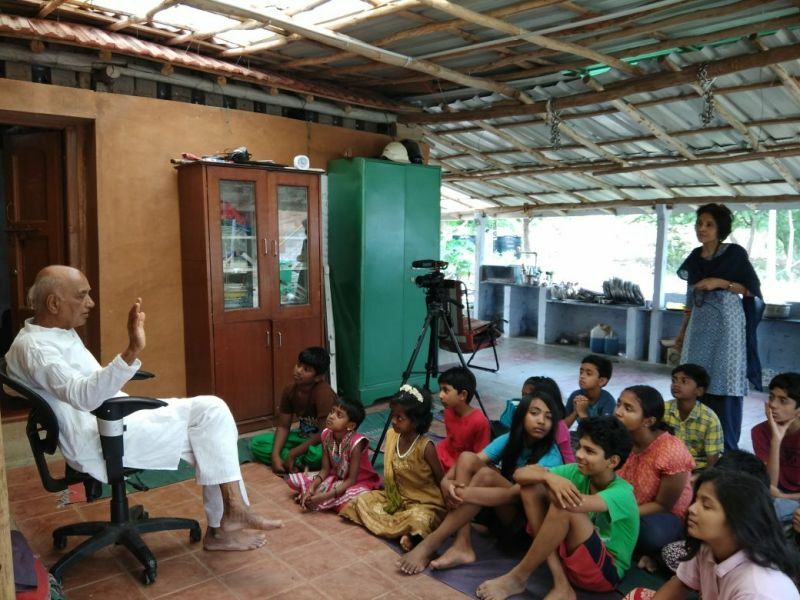 The last 2 days of the Nature Cure Camps at Sadhana Farm was a celebration of sorts with 15 little people in the 8-14 age group coming in for a Kids Camp Dr. Sharma who taught them, made up slogans and songs with them. Some teens would ask him apparently gross questions like how to build really big muscles and he would answer from the subtle framework and in the end both would be nodding and smiling. The kids helped with dining service on a Saturday night and that brought a special flavor of joy to all. And they cheered each other on as Dr.Sharma congratulated them with their certificates. Congratulations on a good site that you have developed. Tamilnadu Chapter of IMANAH is being well handled by the Akarma group. It may be more interesting to post the names of participants and mentioning the names of persons who are in the pictures. 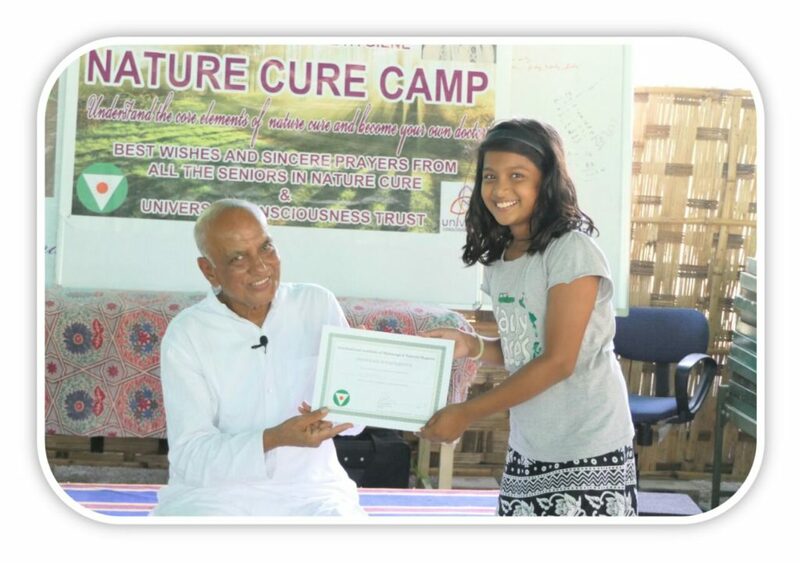 Can you mention the name of the girl who is receiving the certificate from me in that picture? She is also a child movie star – I hear. I recently saw a movie Pasanga 2 where I saw this girl act along with the famous Tamil movie star Surya. She was spontaneous and she did one mime show along with me without any previous direction.